Money, cash, cars, clothes—rappers have never been shy about lyrically flossing the fruits of their labor. But we've noticed there's not a lot of talk of the high-end eats on their plate. Instead, we get rhymes about tourist traps like Tao, and overpriced, over-hyped grub from Mr. Chow's. And sometimes, inexplicably, an ode to a combination Burger King and Taco Bell. We managed to track down a few rappers that go as hard at the dinner table as they do in the dealership. 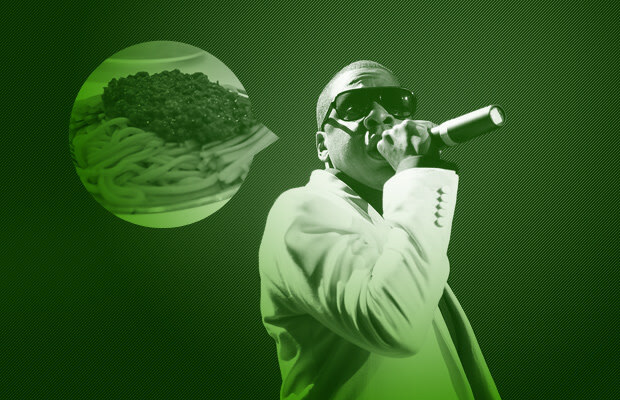 Here's are 13 restaurants mentioned in rap lyrics that are actually good, proof that hip-hop really is about that fine dining life.